Do not leave the scene of the accident, however if it is possible, move your vehicle to a safe nearby location. Check to see if anyone is hurt. If someone is hurt, call 911 for medical assistance. Contact the police department and your insurance company. 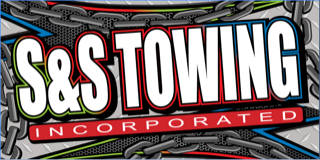 If your vehicle is not in driving condition, contact S&S Towing 24 hour services at 810-984-1593. Exchange names, phone numbers, and addresses, of all persons involved in the accident or any potential witnesses. Take photos of the accident scene and the vehicles that are damaged. Collect the company name, policy number, and phone number for other insurance companies involved. Flares, snow scraper, first aid kit, flashlight with extra batteries, window washer fluid, water, snack food (granola bar/nuts/raisins) basic tool kit, rag/paper towel, tow rope, blanket, and gloves. Maintain important information readily available while driving. Examples: Identification cards, vehicle registration, emergency contacts, and health insurance cards. Make sure your phone is fully charged before driving long distances and if possible, keep a phone charger in your vehicle.